Robots are currently being used in homes to vacuum, clean windows and even make beds. They have long since been used in factories in the manufacturing process making anything and everything from toothpaste to flat pack furniture. It is only in the last 5 years that robots have been utilised in logistic and fulfilment services, with several large fulfilment companies even running competitions to find the most innovative and progressive machines. So where has this sudden expansion in robotics come from? Over the last decade the number of ecommerce orders has risen dramatically, conservative estimates now indicate that 16% of all consumer expenditure globally is online. Put simply, it is easier to order your favourite perfume online than to head into town. With this in mind, service offerings from 3PL logistics companies need to evolve to meet with the growing demands of consumers and robotic technology offers this in abundance. 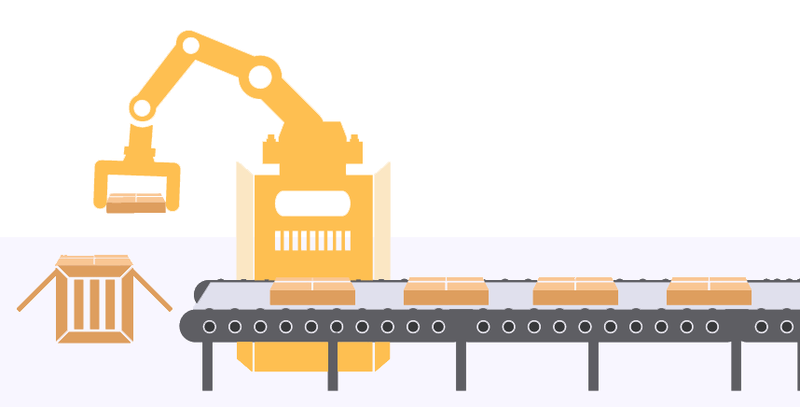 The benefits to using robotics in warehousing, fulfilment and supply chain are considerable; operating for longer hours without the need for regular breaks, perform repetitive tasks without tiring, lifting heavy weights, navigating small spaces and working faster resulting in an increased pick and pack rate. As we approach the new year CDL are excited to announce that we will be running trials in our London based warehouse. With the decreasing price of robots and the cumulative benefits of operating them in the warehouse environment including the reduction in overhead costs, robots aren’t just a myth of the future, they are the reality of now!